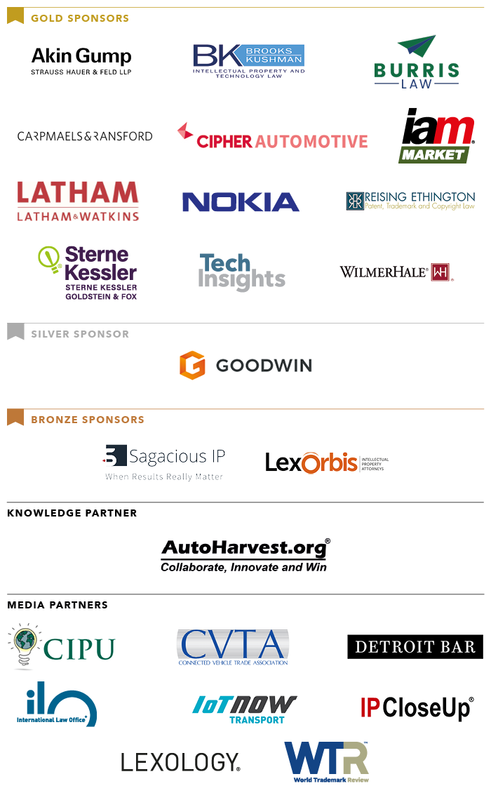 Ahead of IAM’s Auto IP USA 2019 event next month (May 8, Detroit), we spoke to leading IP experts at ANSYS, Aptiv, and Microsoft to discuss their outlook on the current climate in the auto industry, the impact this has on the future of IP, and how their current roles may evolve from these developments. Attending Auto IP USA is a business-critical opportunity to hear from Rob, Jason, Tao, and many others who will be sharing further insight and experience on the current and future IP challenges in the auto industry this May. American Axle, ANSYS, Inc., Aptiv, Broadcom Inc., Continental Automotive Systems, FEV North America, Inc., Ficosa, HARMAN international, Honda Patents & Technologies North America LLC, Intel, Microsoft, Nissan, Nokia, Schaeffler Group USA, Tenneco, Uber, Visteon Corporation and many more! Auto IP USA has been submitted for approval for CLE hours. Depending on the specific state rules, regulations, and restrictions, the projected CLE credits awarded could be up to 6.5 hours.